Prime your lids using Urban Decay primer potion or any other primer. Apply Toasted to your lid with a flat brush and patting or swiping motions. This color is very pigmented and rich so you don't need a lot of product. 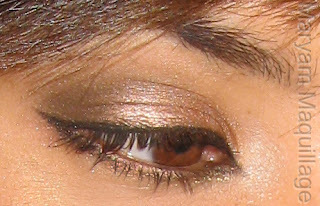 Take a fluffy dome brush and apply Hustle to your crease, using windshield wiper motions and blending it with Toasted. This color is more muted, so it needs to be built up by layering. Use a small pencil brush to define the outer "V" of your eye with Darkhorse and blend it out. Take Buck and Naked on a fluffy dome brush and apply it to the edge of Hustle and above, all the way up to your brow bone using windshield wiper motions. Highlight your inner corner and high point under the brow using Virgin. Line your waterline and entire lower lash line with a shimmery brown pencil liner and set it with either Darkhorse or Hustle. Line your top lash line with a black gel liner on a brush and extend the inner and outer wings. 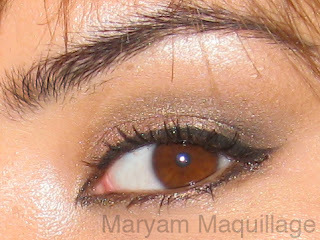 Connect the top liner with the bottom liner on both inner and outer corners for an exotic eye. What are your fall colors, jewel tones and precious stones? gorgeous! naked palette and jewel tones are just the best. Look at you Little Miss GORGEOUS!!! Stunning! Jewel tones look lovely on you! the necklace your wearing is gorgeous. really adds to the whole look! love the necklace and you look wonderful!! !Where are you from? Hot look~! I am officially loving fall right now, loving the plums and darker colors. The color of you topis fab! I really like the really saturated jewel toned teals and emeralds! Ahh, you tempt me to buy the Naked Palette! love the eye makeup, always been a fan of liquid liner, very chic! i loved the effect on you eyes, beautiful make-up! I really love your style style girl:) inspiring!kisses**mwuah! Stunning,suave,stylish & seductive. Simply love it. How did the B'day bash go? Hope you had a smashing time ! I love jewel tones for fall! I'm going for lots of teal this year and dark fuschia colours! The colour of your shirt looks awesome with your makeup.